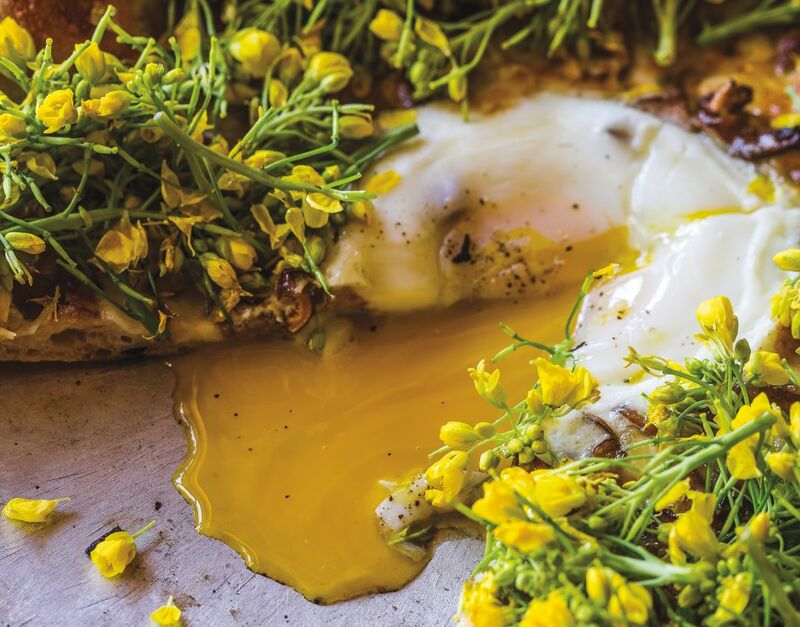 Peak Northwest flavors ooze across a Lovely’s pie—farm egg, chanterelles, mustard flowers, and buttery Sleeping Beauty cheese from Washington’s Cascasdia Creamery. 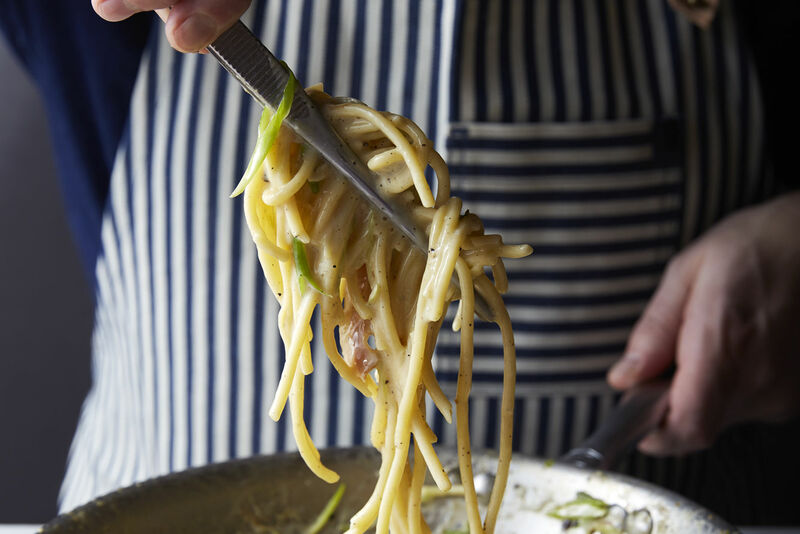 He foams at the mouth, belches, and lords over the kitchen at Lovely’s Fifty Fifty, which concerns itself with two major food groups, pizza and ice cream. Is Jake hot? Is Jake cold? Has he eaten today? Anyone smelled Jake today? 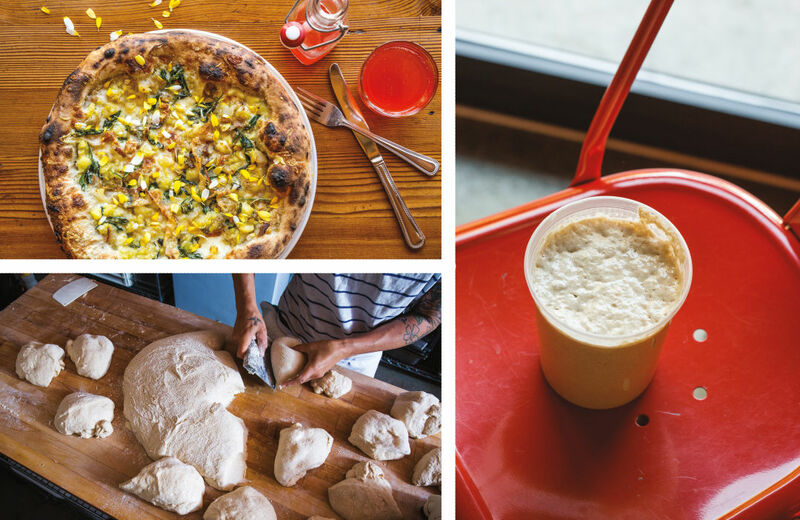 Jake is Lovely’s resident sourdough starter: the secret weapon inside, arguably, Portland’s best pizza. Eventually, he (oh my god, even I’m calling it “he”) will be fed a mix of locally milled grains, stretched into crust, then topped with Lovely’s crazy farm finds. Then come off-the-radar cheeses, perhaps a funky Belgian number or something from Washington’s sought-after Cascadia Creamery, up to five varieties per pie, blended for subtle hints of taste and creaminess. Sarah Minnick, Lovely’s co-owner, chef, gardener, and a dirt-clod dork supreme, says she thinks of her ingredients—and little else. These touches of madness explain what I’ve been tasting here lately. 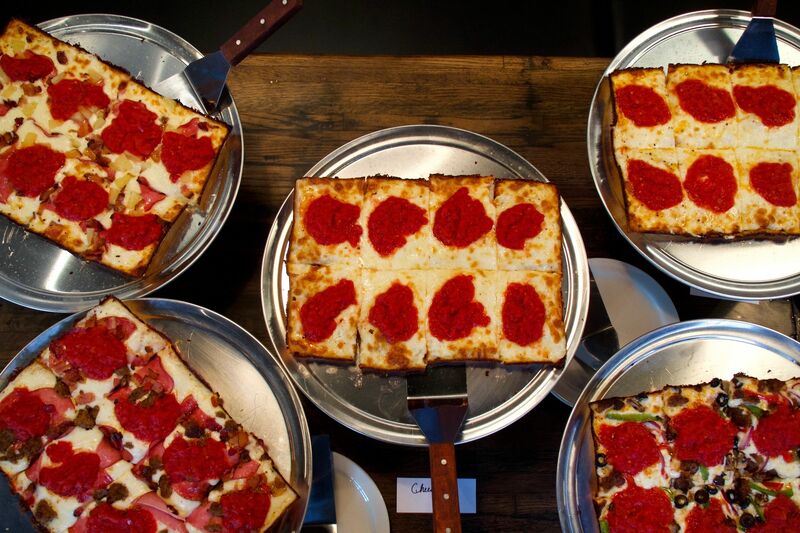 Lovely’s pizza, always good, is now enchanting, idiosyncratic, and complex. After nearly seven years, the blessedly untrendy North Mississippi Avenue restaurant’s evolution from bashful locavore to bold auteur of the Portland pie is complete. 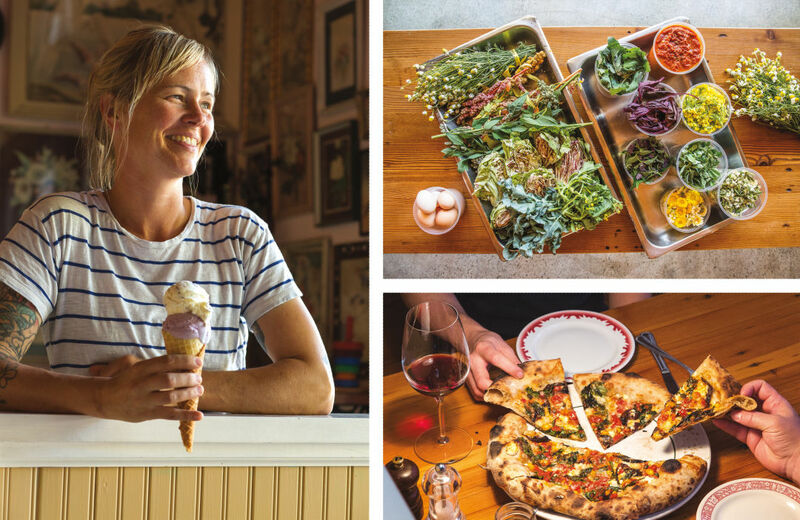 Stumptown has plenty of great Italian/East Coast pizza, but Lovely’s has something else: a near-spiritual connection to Oregon’s most adventurous farmers and seed breeders. That relationship traipses through the entire menu. 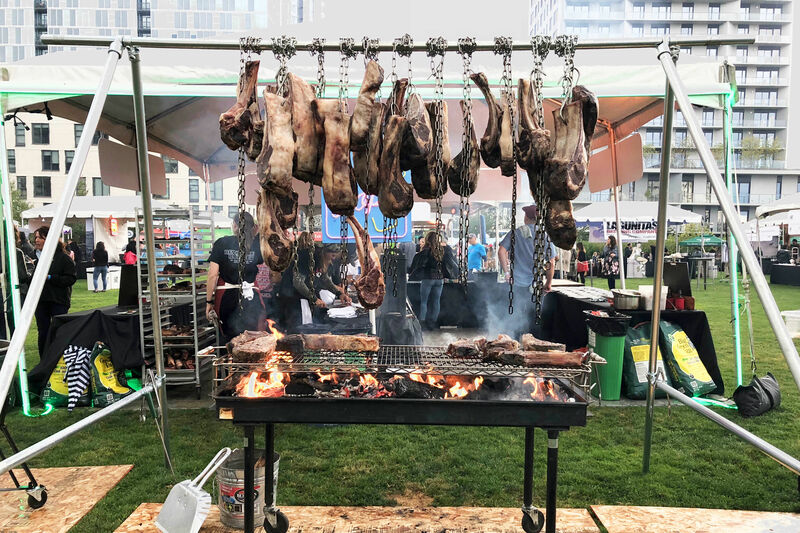 You’ll find yourself eating things you’ve never heard of, or digging into combinations that would be considered tantamount to war crimes in a Jersey ’za shop. 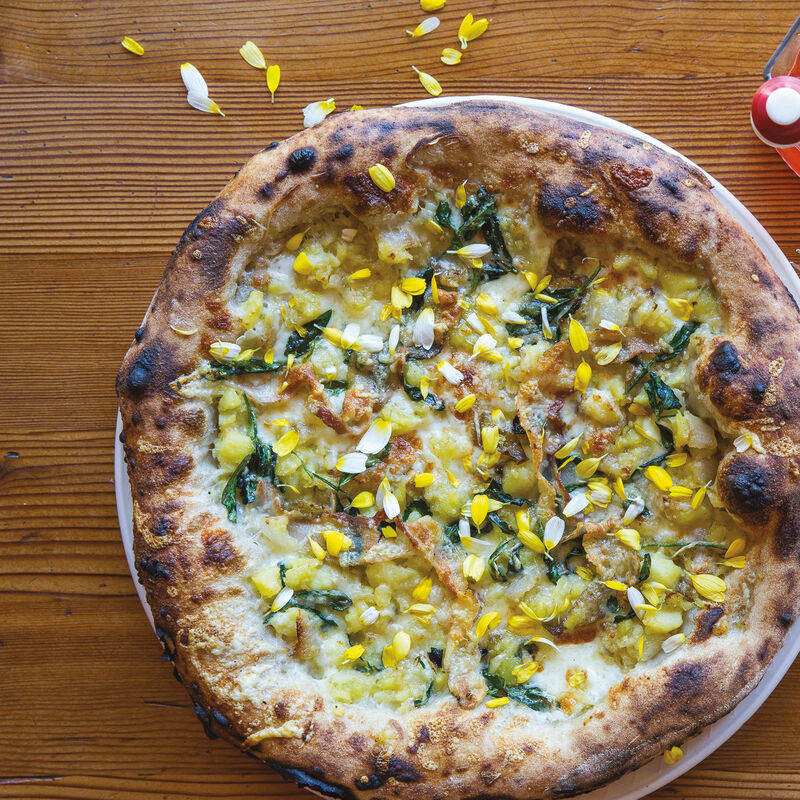 A pie of roasted apricots, fresh fenugreek greens, and pink echinacea flowers? It sounds like a B-12 shot, but it tastes fantastic: alive, unexpected, and so full of flavor. That unorthodox sourdough crust locks in the beauty. Thanks, Jake. tomatoes, creamy-sour sheep’s milk cheese, and shaved squash. The crowning touch? Orange agrumato, a pricey olive oil that only a geeky-geek cook would drip over pizza for our pleasure. A new favorite is Lovely’s potato pie, a rugged landscape of sage, roasted Yukons, caramelized onions, farm egg, and grassy, buttery Saint Servais cheese, which tastes like alpine air. Least interesting are the pizza standards: the lumpen house sausage; the overwrought salami-olive. It’s not hard to taste where Lovely’s heart lies. Ice cream, Lovely’s other half, is scooped at the counter or dished at the table, often by Minnick’s business partners, her mom, sister, or daughter—no doubt, this is a gal’s house. 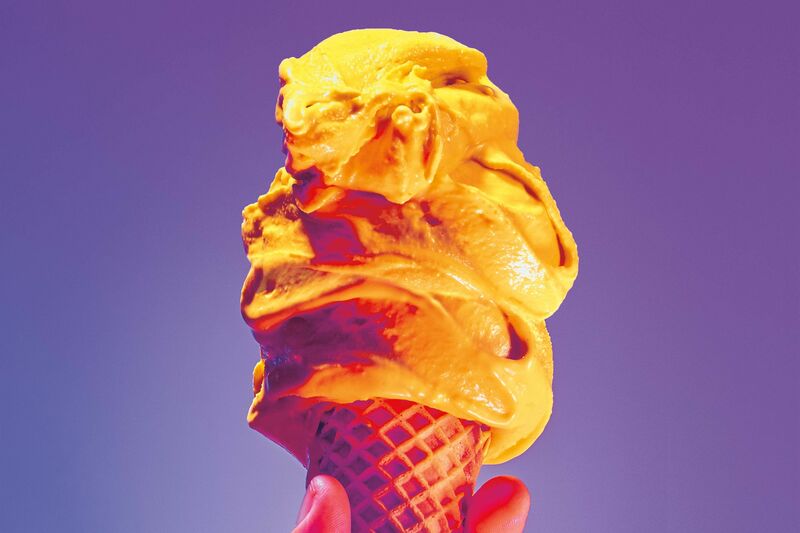 To miss dessert would be a crime, for Lovely’s stands as one of the last reminders of what real ice cream tastes like, with no branding, no bacon; all old-fashioned deluxe creaminess and seasonal flavors so ripe they seem like they just fell from a tree. Boysenberry. Fig maple. Come winter, Minnick is determined to perfect sprouted barley with raisins. They make only six flavors, 40 gallons a week. Grab anything with stone fruits. And know this: I will knock you down for the last scoop of malted milk ball. Everything’s Jake here, from the ever-evolving Portland pizza to ice cream bowls that arrive on doilies, without even a hint of irony. This place could not be lovelier, but it keeps trying.